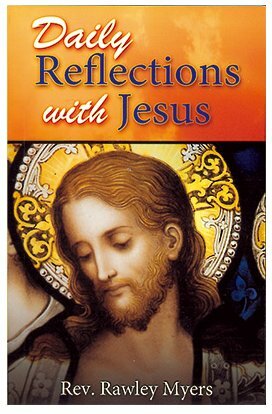 CATHOLIC GIFT SHOP LTD - Daily Reflections with Jesus Prayer Book. Daily Reflections with Jesus Prayer Book. Prayer book - Daily Reflections with Jesus for each day. A beautifully illustrated prayer book containing a reflection and prayer focusing on Jesus for each day of the month. 96 page colour illustrated paperback book 4" x 6 1/4"